Scott Fowler, is the parent of a child with autism and a subject matter expert for families needing guidance to a solid continuum of care for their children. Previous to specializing in autism, his extensive professional background as an educator, principal, and central office special needs administrator in Virginia, brings understanding helpful to military families. Today’s program discusses the vital importance of early diagnosis of autism and the related developmental disorders. 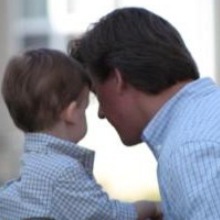 Scott’s personal experience in raising his son with all the early interventions possible lead him to be a strong advocate for early testing and listening to your gut: parents usually know first. Technology advances now make genetic testing possible from birth, and profound positive influence may be realized with early speech/language, occupational therapy, and physical therapy. Listen Live by clicking below or download 24/7 here: http://bit.ly/AutismEarlyDx. Also available in iTunes under Military Network Radio. Air date 01Mar2016.